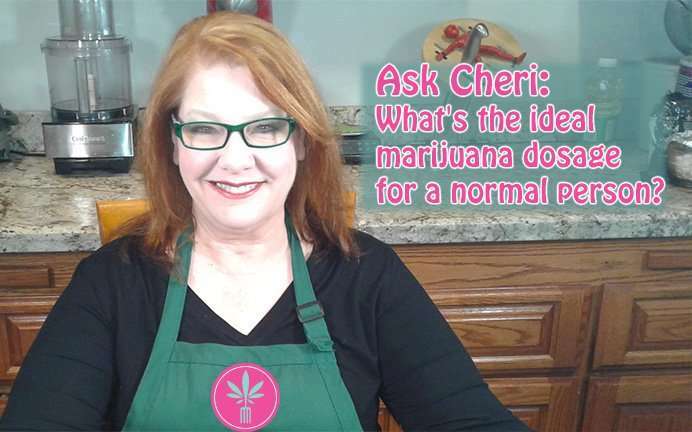 Ask Cheri: What is the ideal marijuana dosage for a normal person? 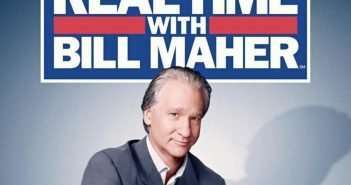 You are at:Home»Ask Cheri»Ask Cheri: What is the ideal marijuana dosage for a normal person? What is the ideal marijuana dosage for a normal person? You are not alone in your confusion. That’s because there is no such thing as an “ideal dose” for a “normal person” (is there even such a thing as a “normal” person?). It may not be the answer you WANT to hear, but that fact is, there simply is no one correct answer to your question. Ten mgs of THC, the dosage cap for commercial edibles in most legal states, will be too much for some people, while 100 mgs THC will not be enough for others. Dosing cannabis, especially edible cannabis, is highly individualized. The fact that there is no easy one size fits all answer is the one factor that makes cooking with cannabis so tricky. And it’s why I spend so much time on the subject in my online Cannabis Cooking course, and in The Easy Cannabis Cookbook. In fact, the subject is so important and so misunderstood I even created a Free Mini Dosing Class to help home consumers figure out how much THC is in their homemade edibles, before consuming them. The Ideal Marijuana Dosage: Over or Under Dosing is Wasting Weed! While we regularly hear lurid tales in the media about people overdosing and getting too much marijuana, in reality, the majority of emails I get about dosing are from people whose edibles are not strong enough and they are not feeling any effects from them at all. In either case, you are wasting weed. Even if you are not feeling physical effects, you are still getting medicinal benefits. However, I know people do want to feel the effects of their edibles. 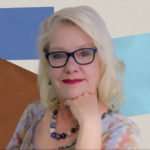 Likewise, it is important to know your own ideal dosage range, then my free dosing class can help you cook to that level. But first you need to know what YOUR ideal dose is. This article can help you find that. Dosing is one of the reasons I believe making your own edibles serves the consumer better than the store-bought varieties. But, just because a given recipe tells you to use a certain amount of cannabis or cannabis infusion does not mean that is going to deliver what YOU individually need. 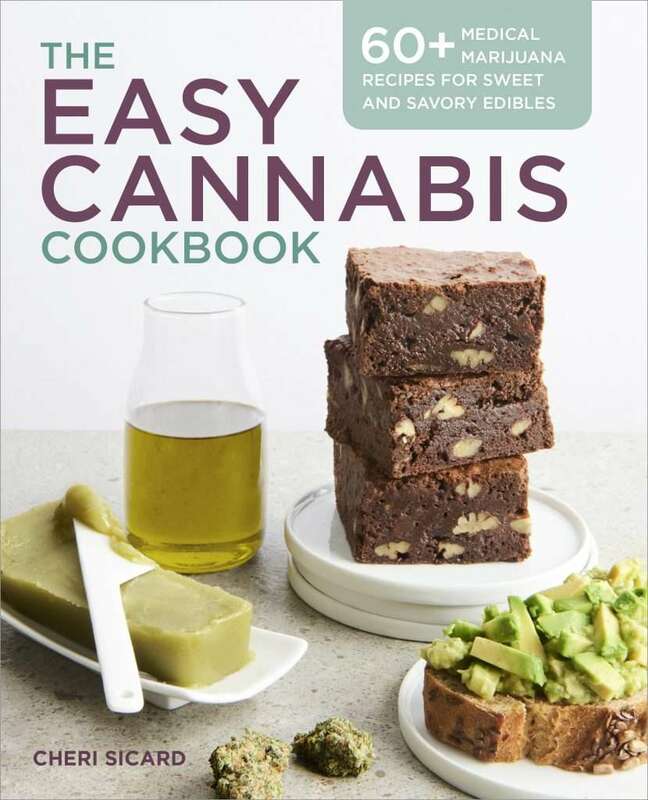 The cannabis cook should always take the amounts of cannabis suggested in recipes with a grain of salt and then adjust upwards or downwards according to the strength of the plant material they are cooking with, and their own individual tolerance levels. To make it even more confusing, I think my dosage changes. I had about 5 mg the first brownie and it was fine, but the next time I felt nothing. So I doubled it to 10 mg and still felt nothing. I’m a little nervous about doubling it again to 20 mg, but I feel like I’m building a tolerance. It is a true you can build a tolerance pretty quickly. Maybe don’t keep doubling it, but you can slowly add more. How profoundly you feel an edible can change, depending on what else you have had to eat and what time of day. For instance, if you eat an edible on an empty stomach you will likely feel it far more than after eating a meal. I find, at least for me, I have a general range of dosage that works for me, it’s not exactly the same every time. 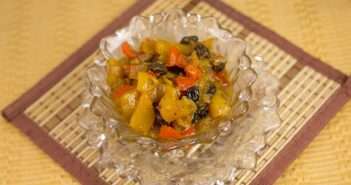 If I am eating an edible later in the day after other foods, I will dose to the high end of my range, if I am eating it as the first and only thing I have had to eat that day, I will dose on the low end of that range. Not exactly related but i have something driving me crazy please help, im making gummies for first time and there is a loght colored film on top, it seems to be the canna oil…. what did i do wrong? I have pictures or my email is johncusack2112@gmail.com please help! I wish I could help, but I have yet to come up with a gummy recipe I am happy with.